Interested in building a video using the different photos, music, and media clips you have saved on your phone? No need to specifically open your Mac or PC for the same. Simply use the apps available on your iPhone and iPad and edit or create videos, as you like. Check out our recommended top six video editing apps below. Best of all, they are completely free! 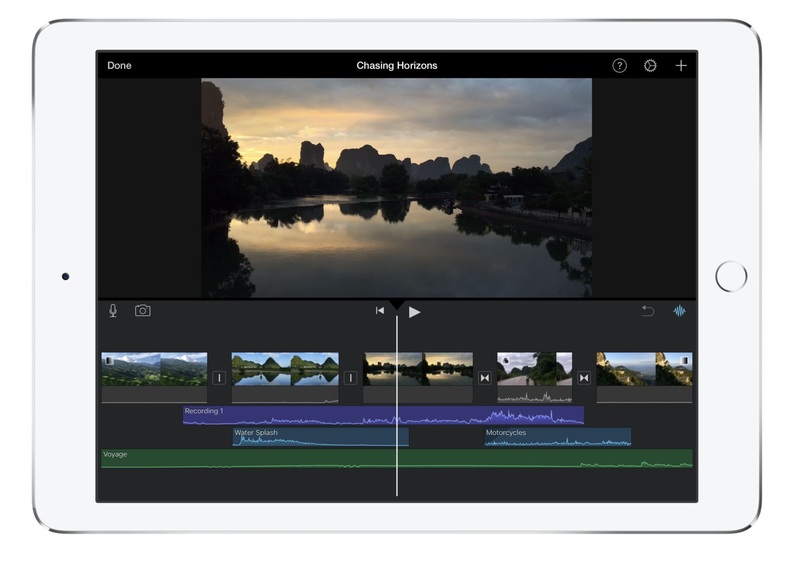 Apple’s iMovie is user’s first choice for editing on an iPhone or iPad. Although to many, the interface might seem a bit challenging, the app boasts numerous powerful features that are almost identical to desktop video editors. One of the most prominent features of the iMovie is the themes option that allows users to select from eight different themes, complete with matching titles, transitions, and music. Users can also choose from ten different filters, compose a soundtrack for the movie, and even add narration. The iMovie can be saved or shared in 4K or 1080p at 60FPS. Besides files stored in your phone, the GoPro’s Splice allows users to import data from other services including Facebook or Dropbox. In Splice, users can add soundtracks to their videos by choosing from the different tunes and genres available within the app or add your own track from the iTunes library. When it comes to editing the audio and video, a number of tools are available including file trim, filters, effects, and an option to add text as well as narration. Users can save the videos on their device and share on different social media platforms as well. The Videorama is another video editor that allows users to pick from three different video orientations – landscape, portrait, or square. The square size is ideal for Instagram uploads. Within the app, users can easily download free videos and images from Pixabay along with video and sound effects, and copyright-free music. 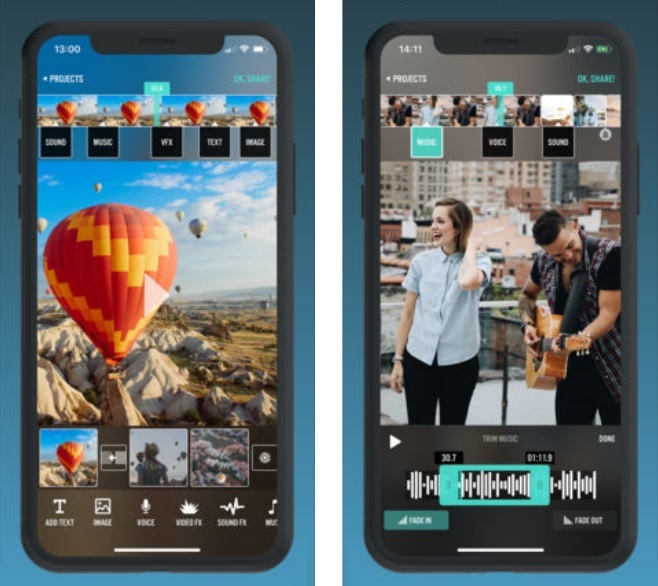 The editing tools are similar to other apps and include the usual array such as options to add text, photos, music, filters, and transition effects. With the free version of Videorama, users are eligible to create short 720p videos with the app watermark. They can also go for the paid version by paying a monthly subscription that will remove the watermark, enhance the apps feature, and allow them to create 1080p 60FPS videos. 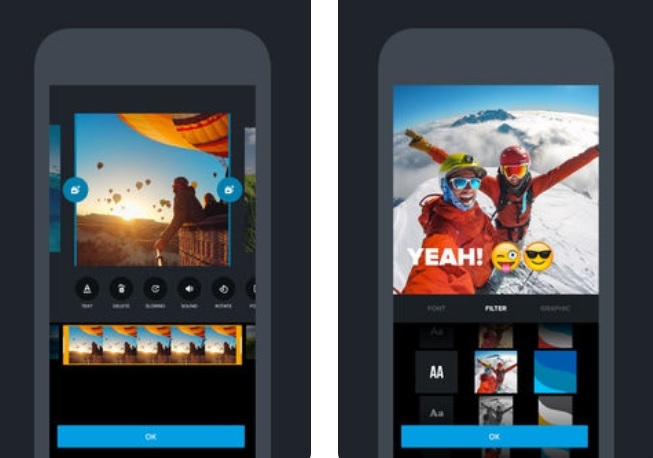 Another app by GoPro, Quik is an ideal choice for users who want to create a video montage with just a few taps. With the app, users can import different media files, integrate a theme and add a soundtrack for a customizable result. Users can also select from different built-in templates and add them to their media files. The finished videos can be changed into different orientations – 16:9, square, or portrait format and shared on social media. For this app, the users are initially required to create an Adobe account that provides 2GM of storage as well. With Premiere Clip, users can use either the media files stored on their devices, Dropbox account, or Adobe’s own Creative Cloud accounts. An automatic tool will create a video montage while the manual option will enable the users to control the video’s exposure, highlights, effects, and shadows. They can also make changes to the playback speed and make duplicate clips. 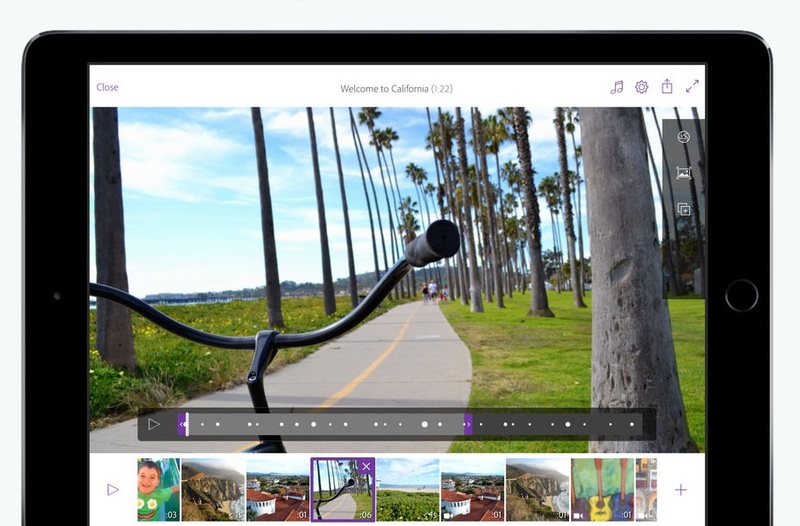 The Adobe Premiere Clip does not include a wide variety of music clips but users can easily add their own. 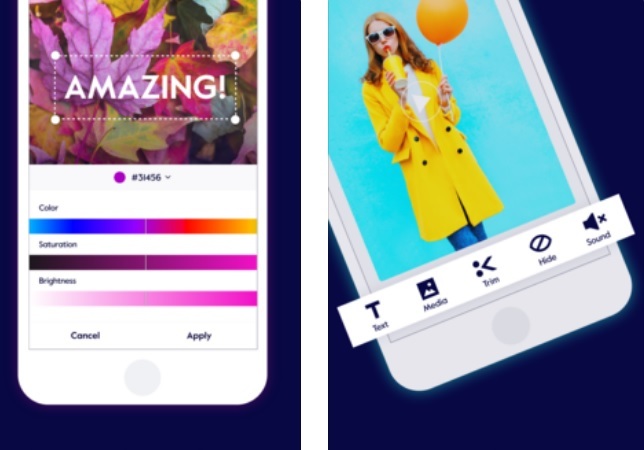 The Magisto app focuses primarily on social media and allows users to create the perfect video for different platforms. Besides the basic editing features, the users can select from specific editing styles such as caring moments, memories, and travel. The music library of the Magisto Video Editor includes songs from different genres that can be incorporated in the final video. The end-result can be shared on Facebook, Instagram, Twitter, and other social networks with a single tap. A choice of subscription plan – Professional and Premium are available for added features. With these apps, it is very simple to create videos with media files that are usually ‘long-forgotten’ on our devices. Using one of these free video editing apps, you can also create a film and enjoy the memories on repeat.